But regardless of my teenage taste in movies (don’t judge…), the role that really defined his career involved having giant retractable knives sticking out of his hands. 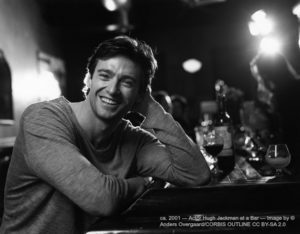 Yes, in between several Broadway runs, hosting the Tony’s multiple times and winning a Golden Globe Award, the character that has stuck by his side for 17 years has been James (Logan) Howlett, better known as the X-Men’s* Wolverine. 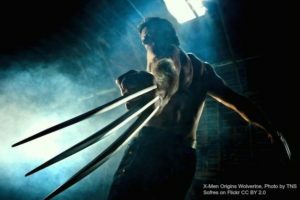 So I was interested to hear what Hugh had to say in a recent New York Times article about playing Wolverine for the last time in the upcoming movie, Logan. Was he ready to say goodbye to the role? 1. Remember, you don’t own your character. 2. Be grateful, and show them love. We learn a lot from the characters we play. They can open our eyes to new worlds and our minds to new ideas. They make us better performers. And they can make us more compassionate, more open-minded, and more understanding people (even when the role is challenging). Make room to be grateful for this. Acknowledge what the character has taught you, and be thankful for the time you got to spend with them. Know that the insights they gave you will stay with you, even after you’ve stopped playing the role. The truth is we grow to care for the characters we play. So when it comes to letting them go, we need to make time to say goodbye in a way that acknowledges this special relationship. *EXERCISE: Looking for an exercise to help with saying goodbye to a character? Try this! After closing a show, take a bit of time the next day and write a letter to your character. • Find a quiet space to write, where you feel relaxed and comfortable. • Take a few moments of quiet to focus on the task before your begin. Close your eyes and visualize your character. Take a few deep breaths with this focus. • First, write about what it’s been like to play this character: how you felt about getting the role, what it felt like to embody the character, etc. • Next, write about what you’re thankful to the character for: what you enjoyed about the role, what they’ve taught you, and what you’ll remember about the role. • Finally, include any hopes you have for the character in the future (in their imaginary lives, or reality). Then sign and seal the letter. You can keep it or you could burn it (safely! ), to symbolize releasing the character and their energy back into the world. In the meantime, you can check out the full article on Hugh Jackman here. And of course, you can check out his last adventure as Wolverine in Logan, in theatres this week*.